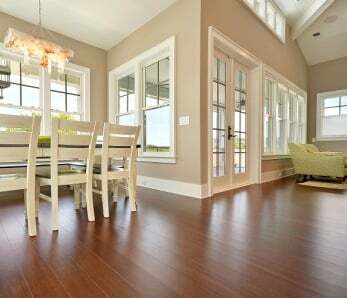 Many people are surprised to hear we have so many businesses that purchase our bamboo flooring. 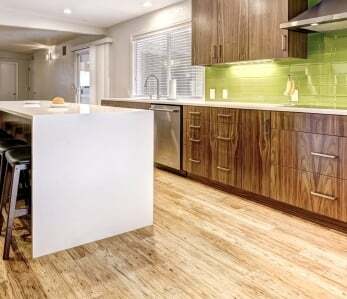 But when you think about it, it makes sense: with more consumers becoming adamant about using eco-friendly products, it stands to reason businesses would want to show their support of the green movement by using materials like bamboo in their commercial spaces. 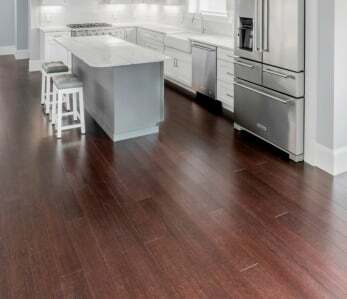 It also makes sense that businesses would want flooring that is uniquely beautiful, stands up to a lot of foot traffic, and is budget friendly as well. Elevation Burger is very different from your typical burger joint. For starters, they only use the highest quality and freshest ingredients such as 100% grass-fed beef and 100% free-range poultry, and their fries are fried in heart-healthy olive oil. 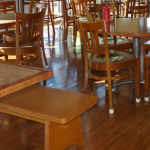 They also believe that this healthier delicious food should be served in a beautiful and environmentally-friendly setting, which is why they chose to use bamboo flooring in their locations. Lures Bar & Grille installed our strand Carbonized floor in their establishment and they wrote us soon after to tell us the floors look gorgeous and are holding up beautifully, which is important in a popular restaurant that gets a lot of foot traffic and sees its fair share of spills and plates dropped. We think you’ll agree the floors look amazing. If you’ve ever been in a professional recording studio, you know they can sometimes be dingy, dirty, and a tad bit depressing. That can’t help the creative process. 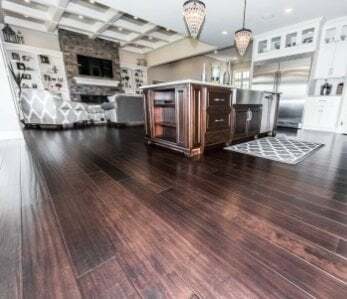 Beltauer Recording Studios chose to install our Classic Natural Horizon bamboo floors in their studio and they wrote to tell us their floors offer a relaxing feel in their control room. Oh, and they look pretty incredible as well – see for yourself. We’ve even had hospitals install our bamboo floors! 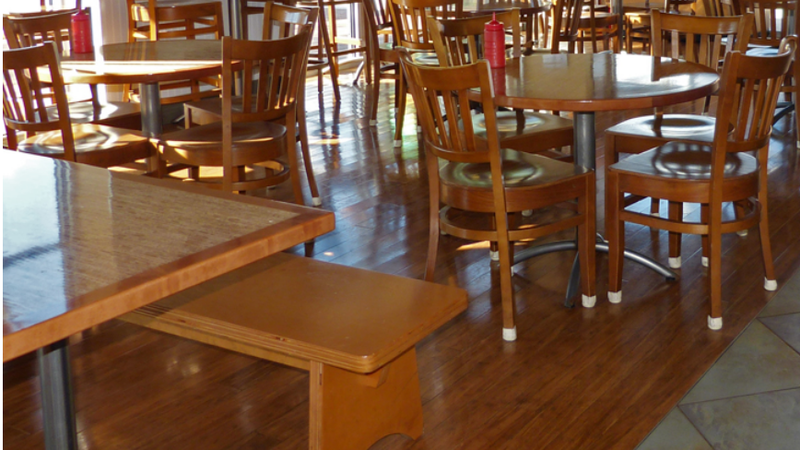 One D.C. area hospital installed our Classic Natural Horizontal floors in their rehabilitation room. They wrote and told us their patients all comment on the gorgeous floor. The staff thinks it’s nice to be able to bring nature into the facility and they believe the bamboo floor really helps put their patients in a peaceful state of mind. We couldn’t ask for nicer feedback than that. 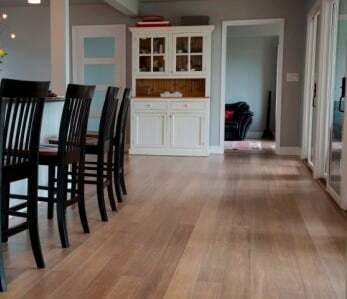 If you own a business and are in the market for new flooring, why not consider installing bamboo? Not only do stand up to various forms of abuse, they are affordable, beautiful, and will show your customers that you care about the environment.